Whether you’re driving across North America on an epic road trip, traveling to grandmother’s house, or hitting the road for a local day trip, all this vacationing often involves long hours of sitting in the car waiting to get to that mystical “THERE” that kids pine after so greatly. To help you get where you are going with a bit more ease, we’ve got games that can be played anytime, anywhere, with no game boards required. These road trip games for kids will make your little ones think, make them laugh, turn them into detectives, and have the whole family having fun together, without the need for electronics. What’s in Road Trip Games for Kids? 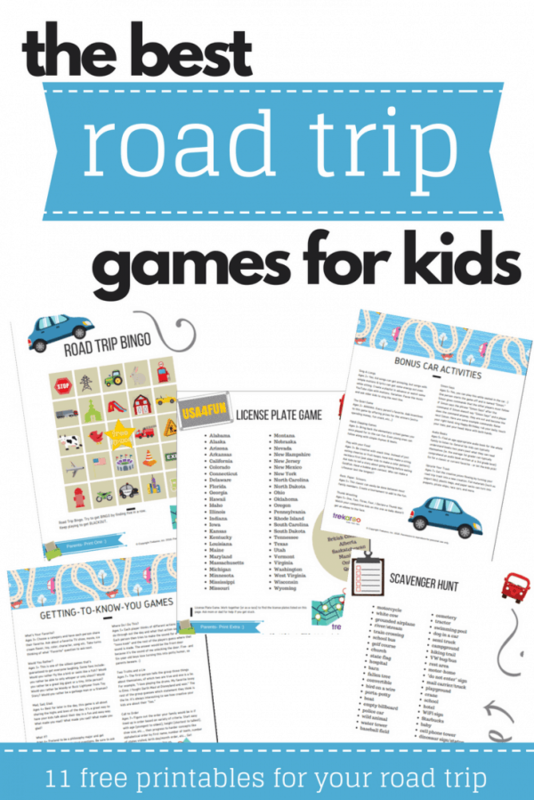 We have compiled some of our favorite road trip games below, but for a comprehensive list and detailed instructions, we’ve made a fun road trip games printable (with fill-in pages & game pages for the kids). Scroll up for the form on the right-hand side to subscribe to the Trekaroo Adventurer emails and we’ll send you the printable. What’s in the Clouds ? These printables look great! How do I get the link to them? Hi. How do I get the download? A fix is coming shortly for the printable download. The form is currently broken. Thanks for your patience! Apologies. We’ve now fixed the form on the right side of the screen for the printable downloads.